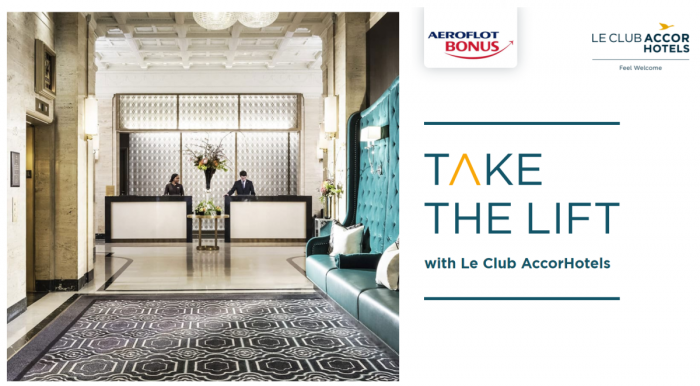 Le Club AccorHotels has launched new bonus miles campaign for Aeroflot Bonus program member stays between September 10 – November 15, 2018. Aeroflot Bonus members earn triple miles for stays booked September 5 – October 31. There is no limit on number bonus miles earned. Note that you must have your Le Club AccorHotels earning preference set to partner points/miles and have Aeroflot Bonus set as the preferred one. You also must enable automatic conversion of points to miles after each of your stay. Le Club AccorHotels has run these “LIFT” promotion for the better part of the past few months. I gues that they are trying to get airline frequent flier program members to sign up with Le Club AccorHotels. Just remember that all of your existing points will be swept to airline miles too when you enable the autoconversion without any bonus. 2. This offer entitles Le Club AccorHotels members, regardless of their status, to earn X3 Rewards points (automatically converted into miles) on stays at any participating hotel enrolled in the Le Club AccorHotels loyalty programme and to be entered into a prize draw that gives them the chance to win a two-night stay for two at Mercure Tbilisi Old Town or at Le Royal Monceau – Raffles in Paris. Voucher for the free stay at Mercure Tbilisi Old Town is valid until 31/12/2019 and for Le Royal Monceau – Raffles Paris is valid until 30/09/2019. Reservation must be made directly with the hotel before the arrival and upon hotel availability. In order to benefit from this bonus, the member must have activated Aeroflot Bonus as their preferred automatic conversion option ahead of the stay. This option must remain activated until the Rewards points related to the stay have been credited to the member’s Le Club AccorHotels account and are calculated based on a Classic membership status level earn rate. 3. This offer is valid for all stays at a participating hotel completed by a member from 10/09/2018 to 15/11/2018, and booked between 05/09/2018 to 31/10/2018. 4. All consecutive stays (check-out and subsequent check-in on the same day) in the same hotel will count as a single stay. The “Take the Lift” offer only applies once to each stay. Previous articleReader Question: Lounge Rules – What Is The Cathay Pacific Lounge Etiquette All About?